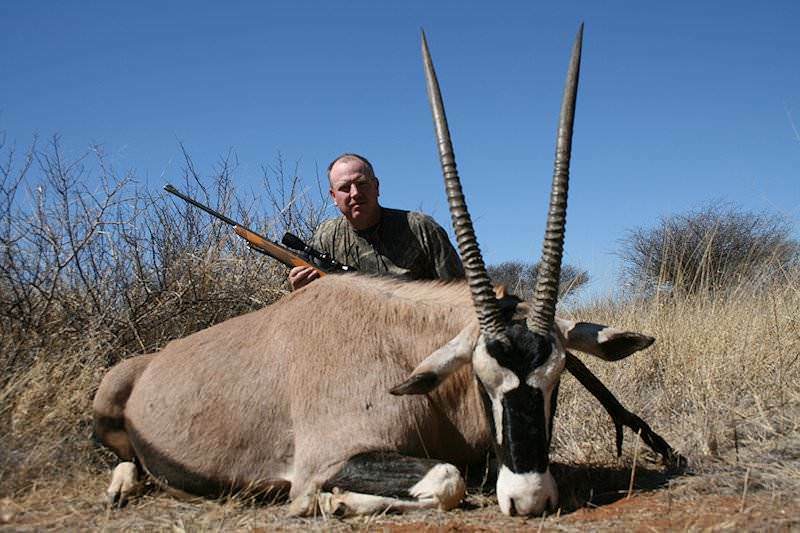 Gemsbok are hunted in the drier western parts of South Africa, like the semi-arid Kalahari Desert. 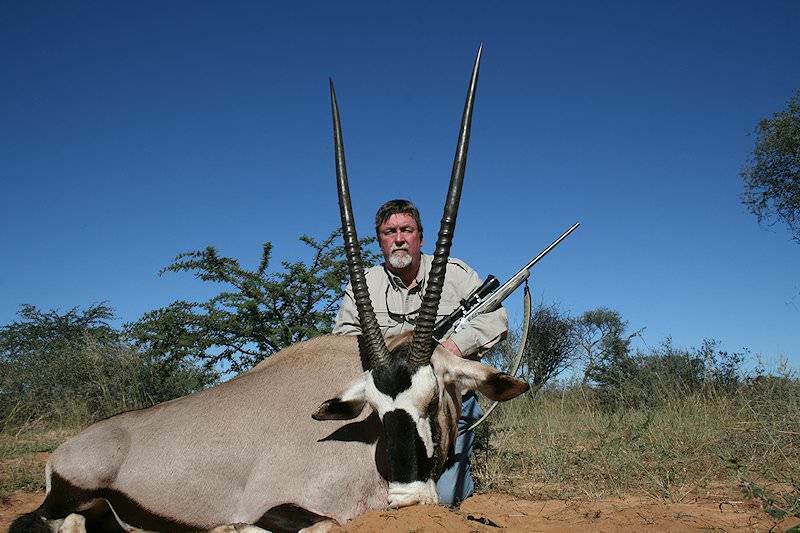 Extremely aggressive and very dangerous when injured, cornered, or threatened, both sexes carry very long spear-like horns. 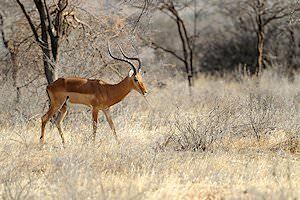 The female (cow) of the specie tends to be slightly smaller in body. 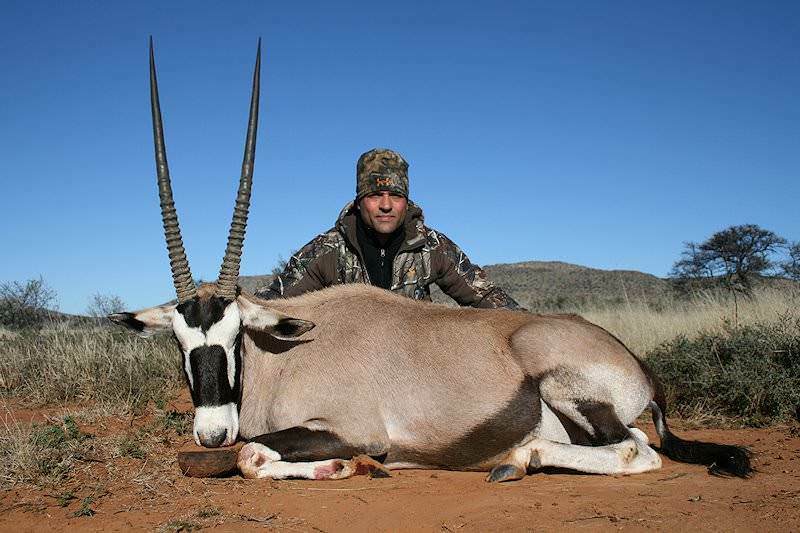 Her horns, however, though more slender, are most often longer than those of the male (bull). 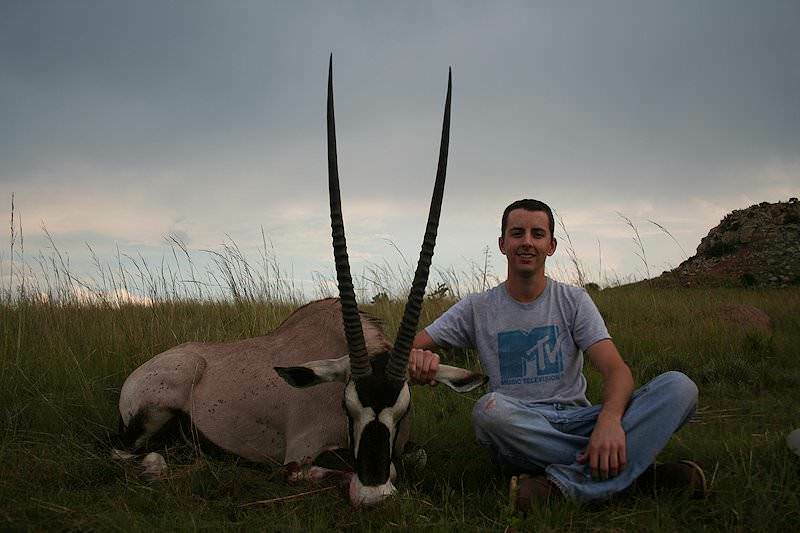 The cow’s horns tend to curve slightly backward, while the bull’s horns are thicker and straighter. 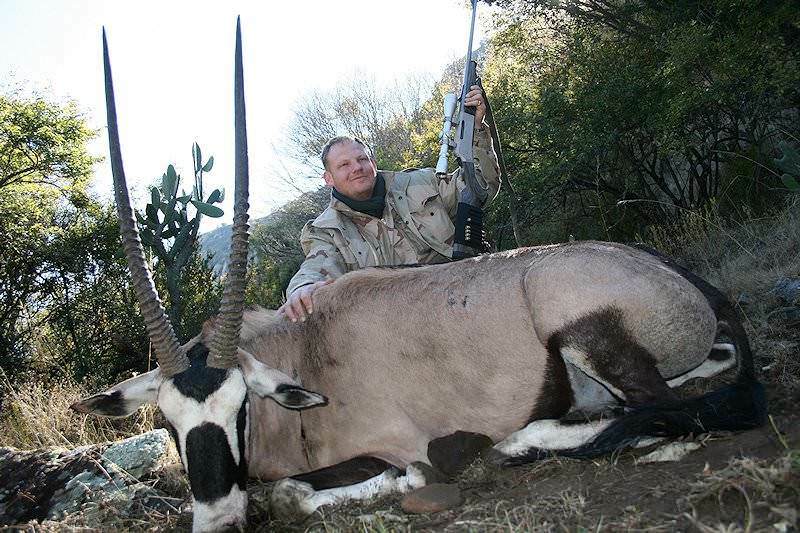 In assessing the trophy, remember that the cow’s horns tend to be longer and will often out-score the bull. 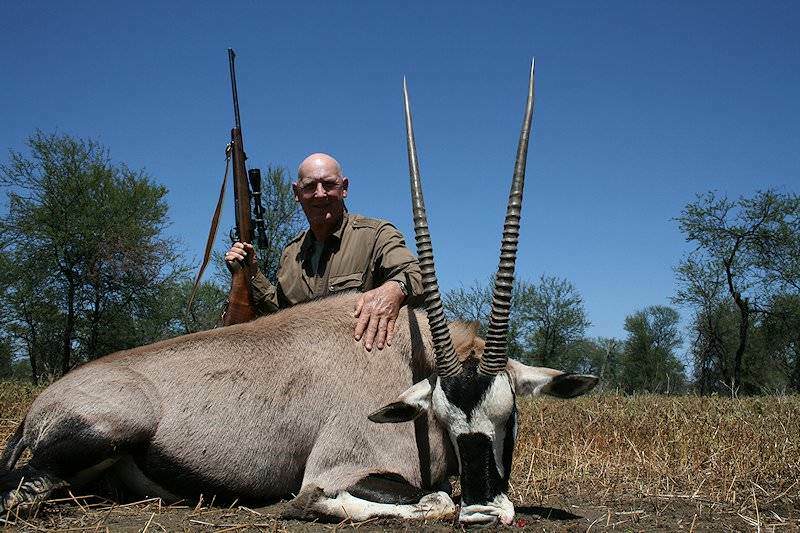 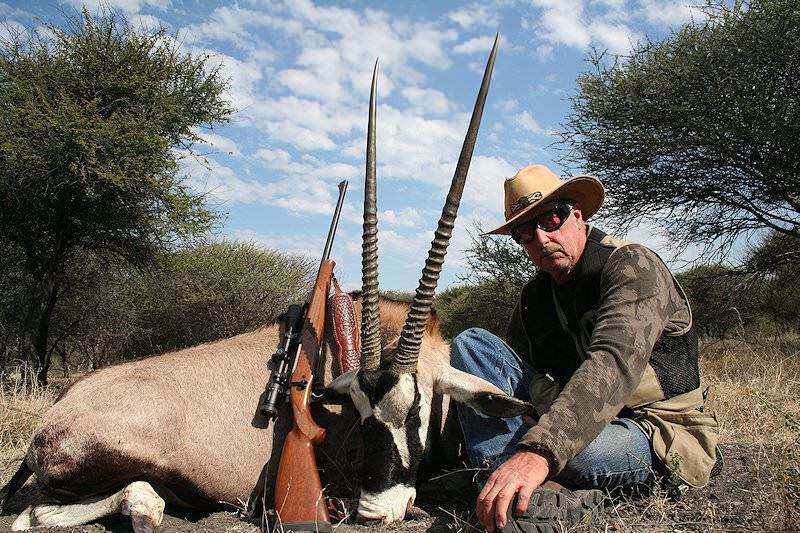 Hunting gemsbok requires a good pair of boots, as you are apt to cover a lot of country. 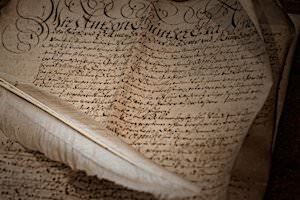 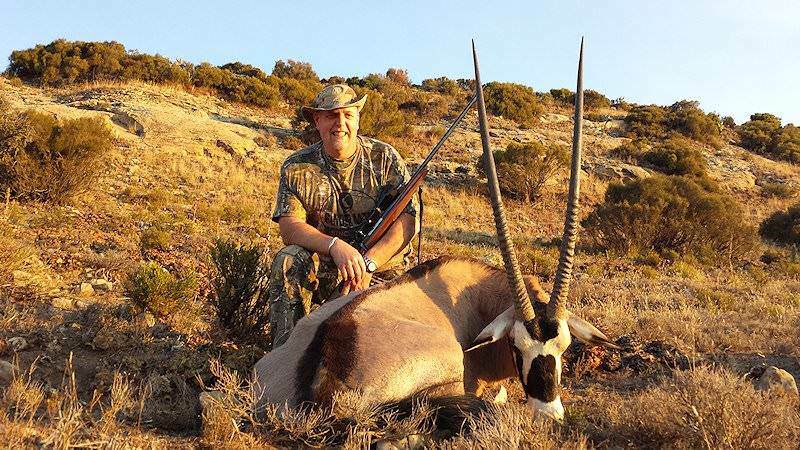 This open country will demand one of the flat shooting rifle and scope combinations. 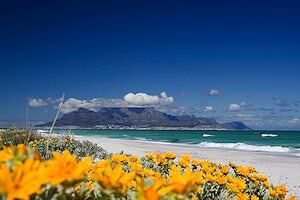 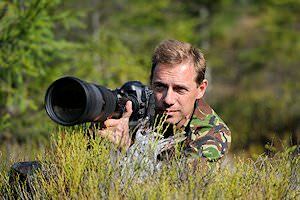 Always alert with excellent eyesight, hearing, and smell, your approach will have to be carefully planned. 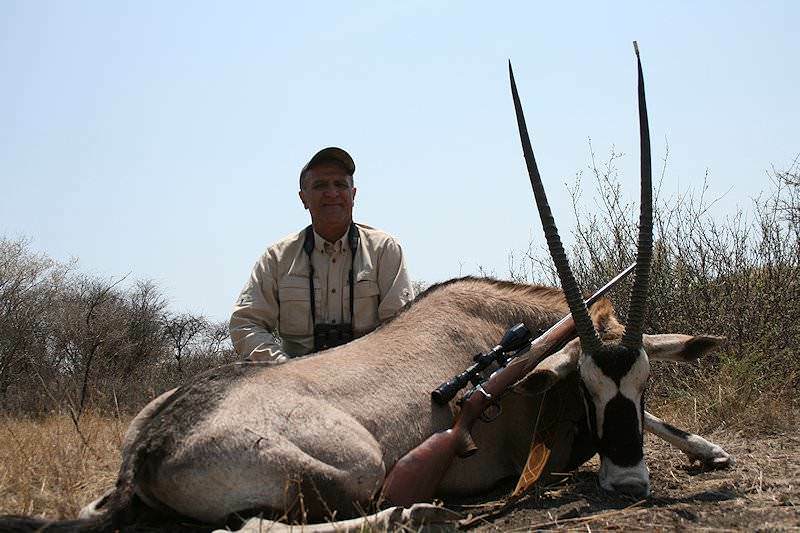 This is one of the tough antelope - the .270 caliber should be considered the minimum, with a good quality 150 grain bullet. 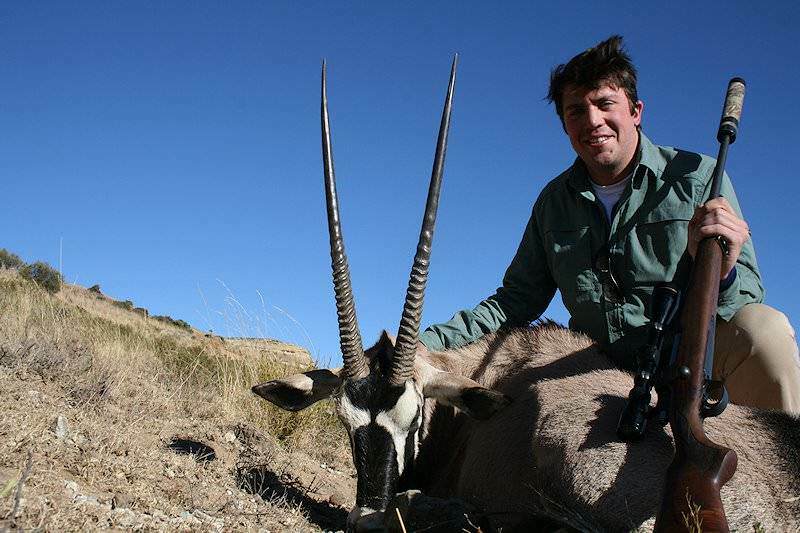 The 7mm and 30 caliber Magnums are an even better choice. Spitzer bullets will work well out in the open country, but if you are hunting gemsbok in the bush, heavy-for-caliber round nose bullets at modest velocities will bust through the brush without the risk of deflection. 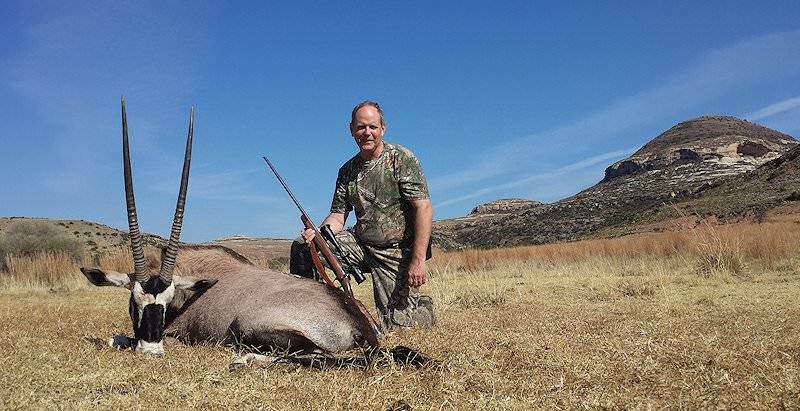 Beware of the predominant humped shoulder; it will try to trick you into shooting too high. 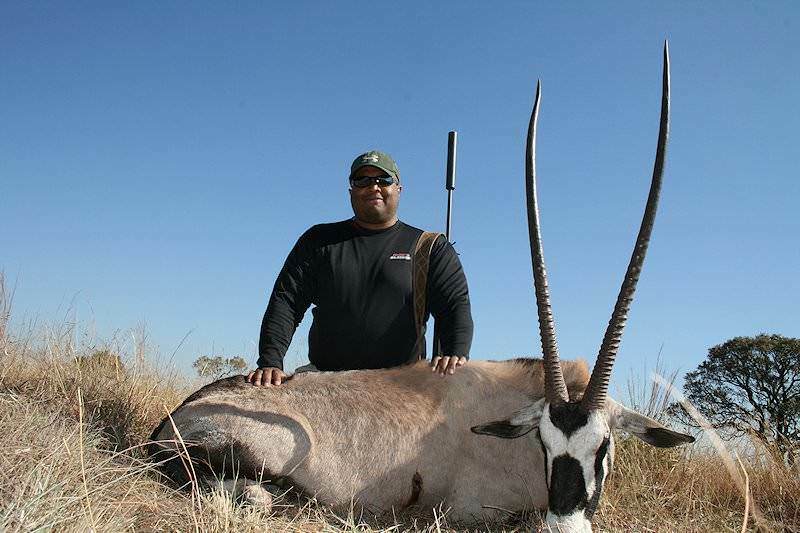 Follow the back line of the front leg to about one third into the body and squeeze. 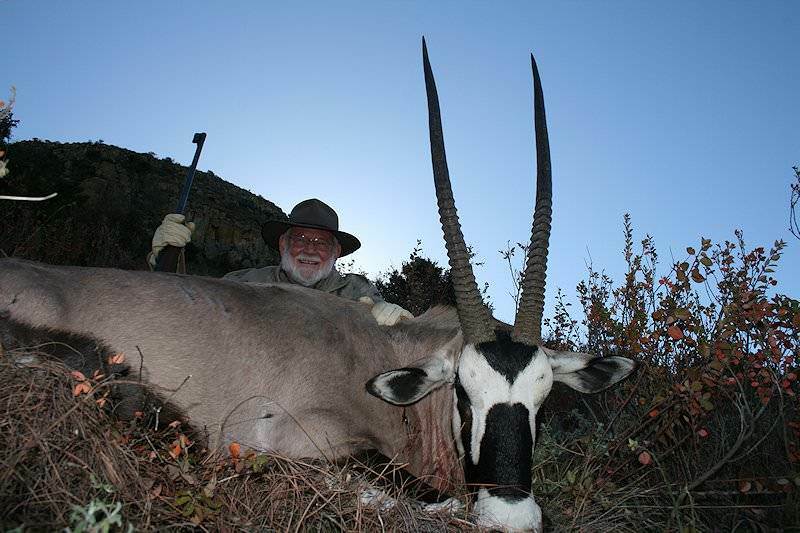 Never shoot above the horizontal midline of this beautiful antelope unless you are in need of a good day’s hike. 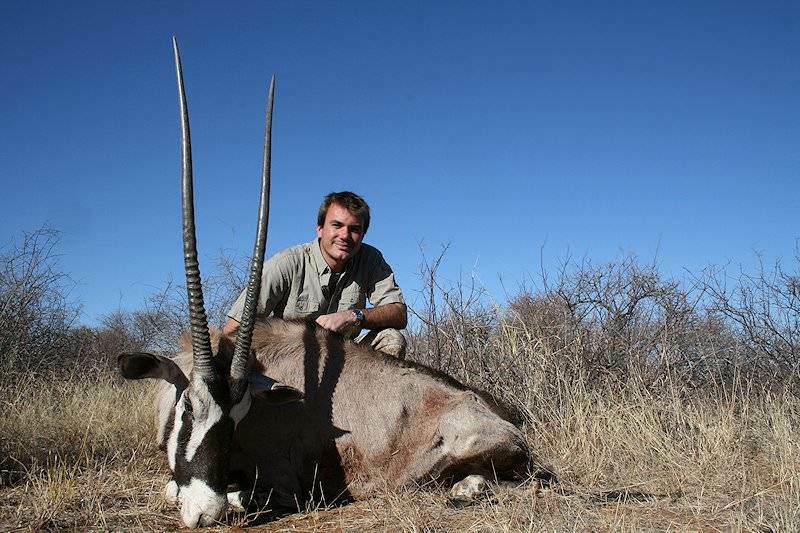 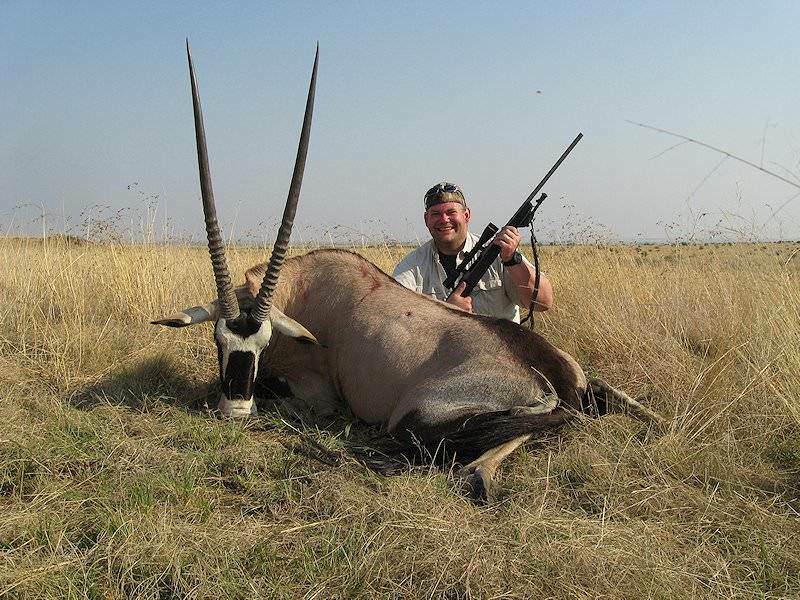 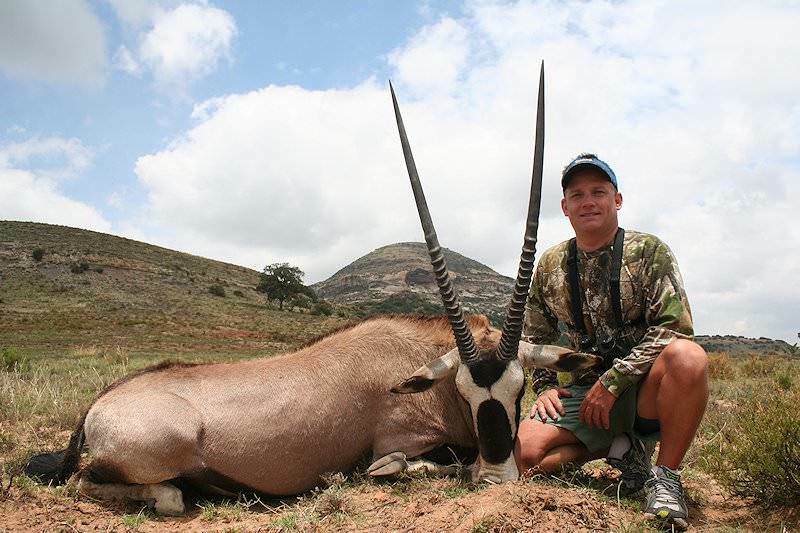 Hunting gemsbok will provide a wonderful trophy and his meat is one the most delicious to be found on the African continent. 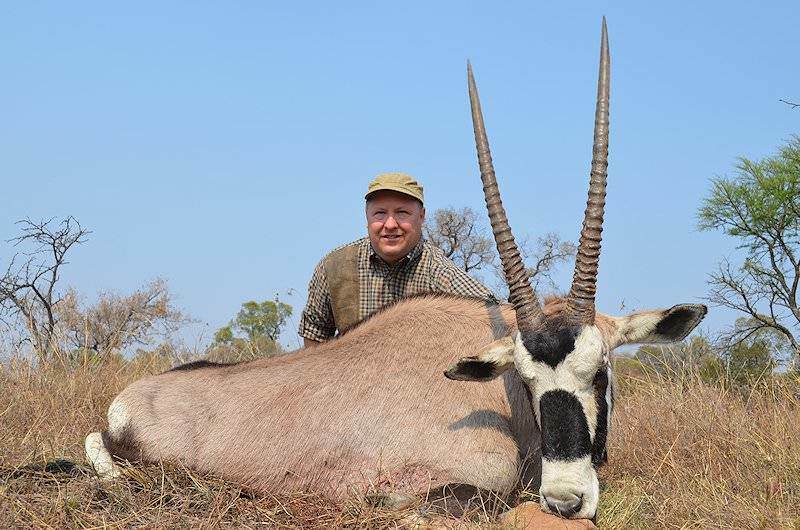 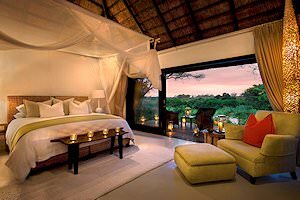 Experience South Africa's bushveld region and the wide, open plains of the eastern Free State on an unforgettable hunting trip for father and son. 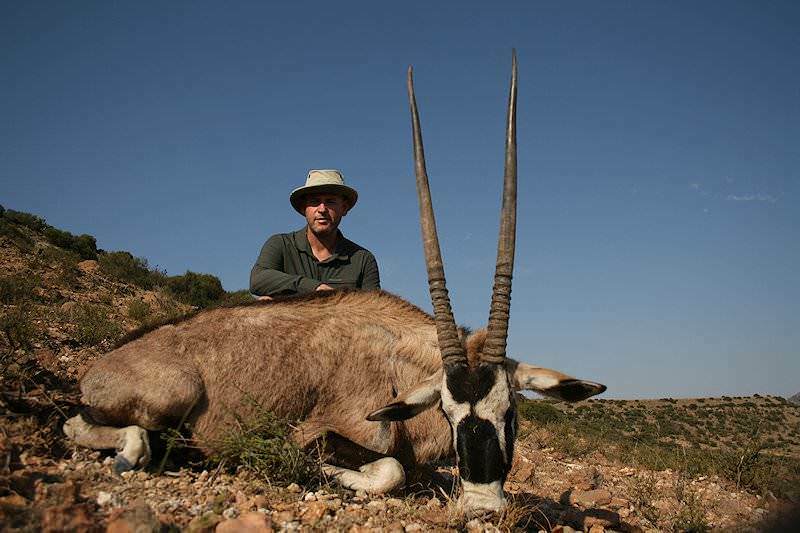 The trophies in this package are shared between the pair and include a gemsbok, kudu, zebra, impala and blue wildebeest. 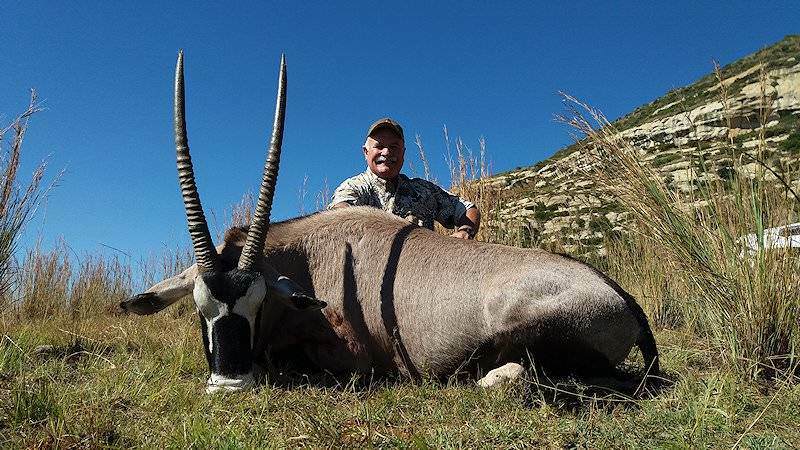 Spend three remarkable weeks in pursuit of South Africa's finest plains game offerings, including gemsbok, kudu, mountain reedbuck, zebra, impala, blue wildebeest, black wildebeest, springbok, blesbok, bushbuck, red hartebeest and warthog.